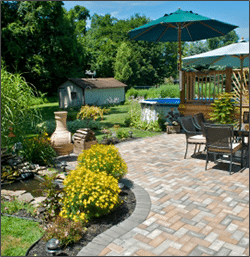 FTS Landscaping is a leading lawn maintenance company in the Bridgewater, Bernardsville, Basking Ridge, Whitehouse Station, Warren and Branchburg areas. We are a commercial and residential landscaper offering landscape enhancement, snow removal, maintenance and tree removal. As one of the leading lawn maintenance companies we promise each project will be completed on time and succeed customer satisfaction. With over twenty years experience, the professionals at FTS Landscaping concentrate on two things: quality and customer service. Our design experts see your project through from design conception to project completion and offer superior craftsmanship. We provide our customerss with attractive designs, which allows us to meet the individual style and needs of our clients. Please contact our team of professionals with questions regarding services, products or future projects.